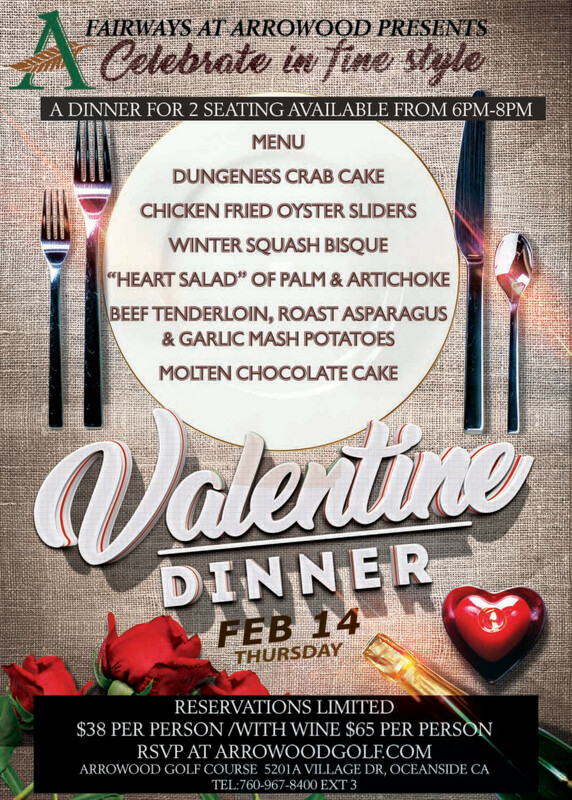 Bring your valentine to enjoy a wonderful dinner prepared by our events chef Clive Berkman and team. Dinner for 2 seatings are available between 6 and 8 pm. (choose your preferred time) Reservations are Limited. Cost is $38 Per Person or $65 per person with wine, (drinks will be available for purchase at the event), does not include gratuity.